With President Trump calling for year-round E15 sales, industry proponents want marine-friendly alternatives such as isobutanol at the pump. In 2016, Lance Parks’ customers were coming to him with a serious problem. The general manager of Galveston Yacht Basin in Texas says that owners of large center consoles powered by triple and quad outboards were experiencing vapor lock. The boat owners were buying premium fuel, which is usually 92 or 93 octane. Parks found that the problem was the temperature of the fuel. It was too high, which gave the ethanol-blended fuel a vapor pressure rating of about 12 psi. The engines need around 7 psi. If the fuel vaporizes before it gets to the injectors, the engine won’t run, and it vapor locks. Parks called local ethanol-fuel refineries, but the problem was everywhere. “I couldn’t find a provider that didn’t have the problem,” he says. Then he discovered an alternative. “I found isobutanol fuel,” he says. 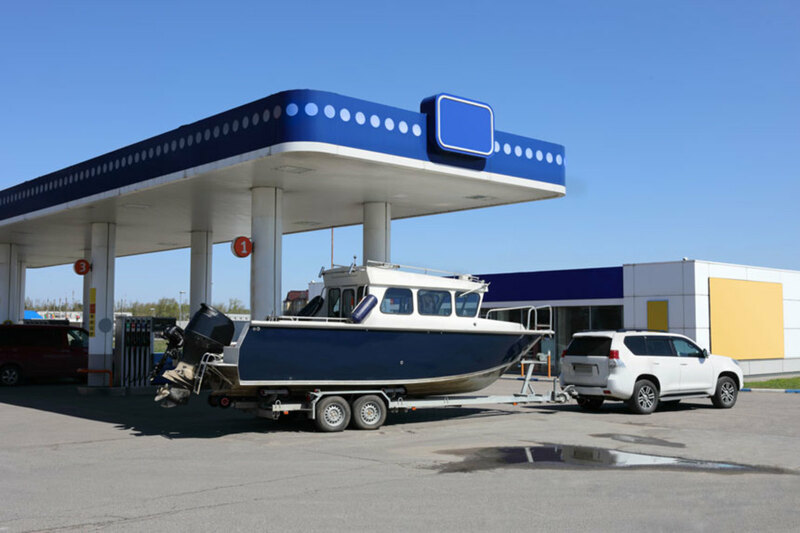 “I had been aware of it, and I asked my clients if they would buy it, and they said it was too expensive.” He bought it anyway, and once his customers experienced how their engines ran on the isobutanol-blended fuel, they were willing to pay the extra dollar a gallon. 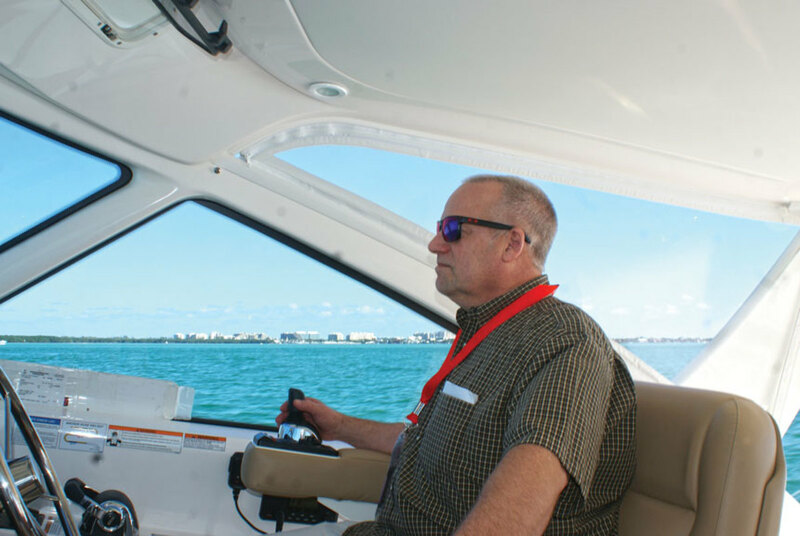 That came as no surprise to Jeff Wasil, engineering manager for emissions and regulatory development at BRP, the manufacturer of Evinrude outboards. He has been a vocal proponent of the biobutanol family of fuels, which includes isobutanol. “It’s unequivocally better for the boat, the consumer and the environment,” Wasil says. Wasil says there are 13 filling stations and marinas selling biobutanol nationwide, including Galveston Yacht Basin. “It was really humbling to go there this summer and see that the consumers are boating, and they’re happy,” Wasil says. John McKnight, senior vice president of environmental health and safety at the National Marine Manufacturers Association, is also a fan of the fuel. “You have a fuel that doesn’t phase-separate, it’s cleaner, it has more energy content, and it doesn’t corrode,” he says. Isobutanol doesn’t eat away at an engine’s fuel system or internal components the way that ethanol, a solvent, does. It also doesn’t phase-separate, perhaps the biggest problem with ethanol fuels. In phase separation, ethanol attracts moisture inside the fuel tank and separates from the fuel. The heavier water and ethanol are on the bottom of the tank, while the gasoline sits on top. Most boat fuel tanks have the pickup at the bottom, so the fuel pump is drawing in ethanol and water. Armed with all of this information, many boaters wonder why more marinas don’t sell isobutanol. The answer is politics. Ethanol producers have established themselves. They have lots of money and a big lobby behind them in Washington, D.C. “E15 is being pushed simply because there are many ethanol plants selling ethanol, and it’s easier for them to just sell ethanol,” Wasil says. Drop-in fuels don’t require adaptation of an engine, fuel system or fuel distribution network and can be used in currently available engines. Biobutanol at 16 percent is a drop-in fuel, but it is also sought after in other industries. For those who forgot how we got here, the Clean Air Act of 1990 went into effect, and gasoline initially was blended with methyl tertiary-butyl ether as an oxygenate to reduce emissions. That worked out great until MTBE started showing up in well water. At the time, there were less than 1 billion gallons of ethanol-blended fuel being produced annually. When MTBE was phased out from 2001 to 2005, ethanol production was ramped up, low-interest loans were provided for ethanol-refinery construction, and incentives were being handed out willy-nilly. The Renewable Fuel Standard, which was part of the Energy Policy Act of 2005, established goals for ethanol production, and the quantity goals were met. “The problem was that in 2006, we greatly exceeded the production goal, and it was determined to re-establish the RFS, and we were, at the time, on a trajectory to exceed it,” Wasil says. The new number is 36 billion gallons by 2022, he says, and the production target includes biofuels, such as biobutanol. Despite the fact that it is illegal to run E15 fuel in a marine engine, President Trump recently authorized the Environmental Protection Agency to move ahead with a plan to sell E15 fuel year-round. To meet emissions regulations, marine engines are calibrated to run more oxygen and less fuel. This is called a lean condition, as opposed to a rich setup that uses more fuel and less air to create combustion. Going from E10, which is 3 percent oxygen, to E15 and 5 percent oxygen is like having a controlled campfire get hit by a gust of wind that causes a flare-up. This is what happens in the combustion chamber of an engine when more oxygen is added. “If we go to E15 in our engines, as they are currently calibrated for emissions, we will burn them up,” McKnight says. He adds that if an engine isn’t calibrated to run on E15, the internal engine temperature is raised by 100 F or more — and engine manufacturers will tell you that excessive heat is the number one threat to longevity.